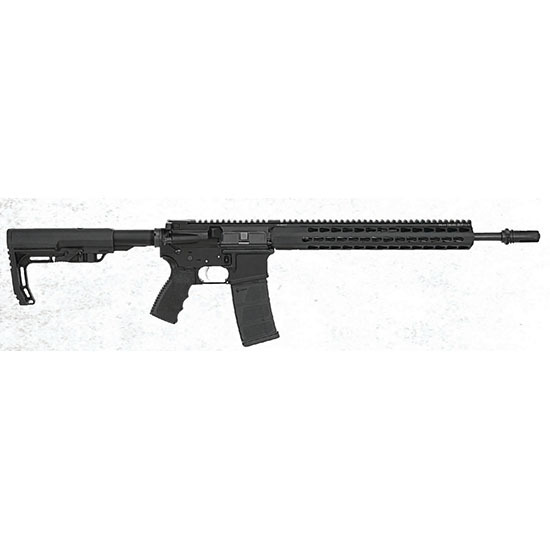 Bushmaster 90924 Minimalist SD Semi-Automatic 300 AAC Blackout|Whisper (7.62x35mm) 16 30+1 Mission First Tactical Stk Black Melonite in. Bushmasters Minimalist SD packs more firepower and functionality per ounce. Its riflelength AAC squaredrop handguard allows for fast solid attachment of accessories at seven different angles. The Mission First Tactical stock is as light and adaptable as it is comfortable. This models barrel is lightweight and FNC treated at stand up to hard use.